Screenplay: Jacques Audiard, Thomas Binegain. Starring: Tahir Rahim, Niels Arestrup, Adel Bencherif, Hichem Yacoubi, Reda Kateb, Jean-Philippe Ricci, Gilles Cohn, Antoine Basler. 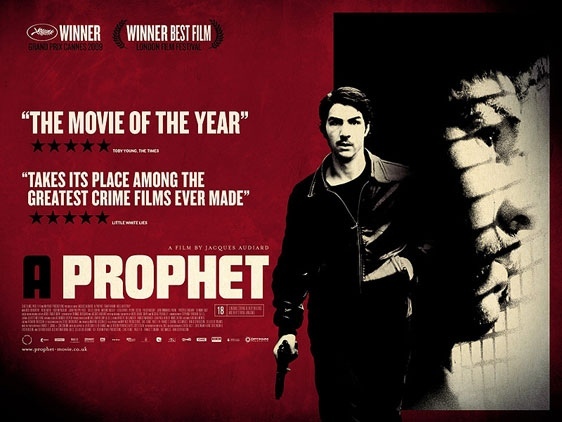 Director Jacques Audiard’s last criminal outing was “The Beat That My Heart Skipped”, a remake of the 1978 film “Fingers”, about a petty hood who has dreams of being a concert pianist. This time he tackles the story of a petty hood trying to survive a French correctional facility. 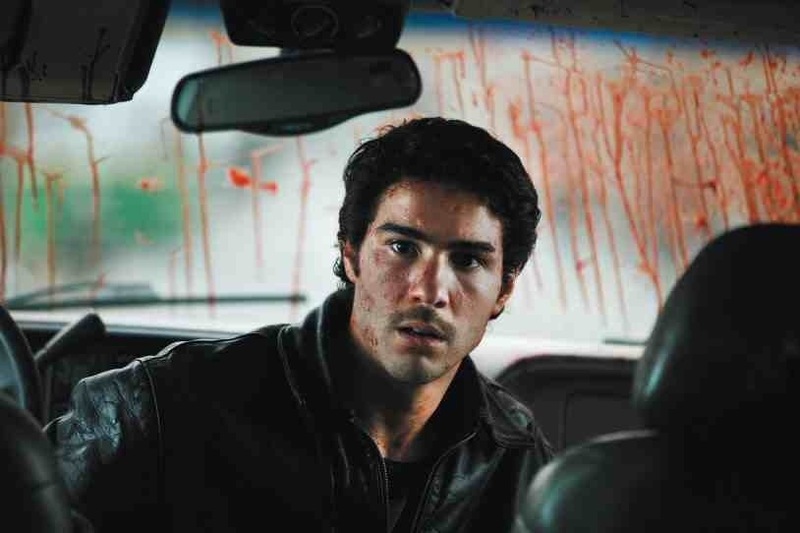 Sent down for six years for an unspecified crime, illiterate French-Arab teen Malik El Djebena (Tahar Rahim) is initiated into the prison’s criminal underworld. A fast learner, he soon starts to plot his rapid ascendancy through the violent and brutal hierarchy of his fellow inmates to become a formidable player and slowly builds a criminal empire of his own. This is an unrelenting and savage look at the French penal system and the visciousness involved in just getting through each day. Hardly ever off screen, it boasts an excellent and charismatic lead performance from Tahar Rahim as the young inauspicious protaganist. He’s entirely convincing in his tranformation and growth from nervous petty criminal to confident and brutal mastermind and is aided with fine support from Niels Arestrup as his menacing patriarchal boss. The problem I found with it though, was it’s length. At well over 2 hours, the rigourousness is relentless and despite it magnificently capturing the grim surroundings of the prison, it’s ultimately confined – for most of the film – like it’s characters and unable to offer anything new from it’s concrete hell, that hasn’t already been done before. I also struggled to see the point of Malik’s prophetic gift. It gave no explanation for his sporadic prophetic visions and added very little to the story – despite it also assuming the title of the film. It could quite easily have been left out altogether. However, these are minor gripes and I probably wouldn’t mention them if this film wasn’t being hailed as a masterpiece. It’s not, but it’s still a film of real quality and packed full of tense, dangerous and claustraphobic moments. Despite feeling like I was doing a little time myself towards the end, this is still a very accomplished and ferocious crime film. This entry was posted on January 27, 2012 at 9:06 pm and is filed under Crime, Drama, Foreign Language with tags 2009. You can follow any responses to this entry through the RSS 2.0 feed. You can leave a response, or trackback from your own site.